Lifetrak's Zoom HRV wearable was announced last year as a Kickstarter campaign but was canceled with three weeks left - but for good reason. The company found outside funding and is now ready to launch the device. So what makes the Zoom HRV different from an Apple Watch or run of the mill fitness tracker? Well, it measures heart rate variability which we've said, "relates to the measurement of the time interval between heartbeats." That's different from the heart rate monitoring on wearables that only measure the average number of heart beats per minute because "HRV focuses on small fluctuations of the heart." Zoom optically streams continuous heart rate data, monitors all physical movements, auto-detects sleep, calculates calories burned based on heart rate intensity and manages ambient light exposure. It's watertight up to 50 meters and counts laps in the pool while measuring continuous heart rate. The wearable can automatically monitor physical fatigue to assess personal recovery and provides exertion recommendations for upcoming training sessions. 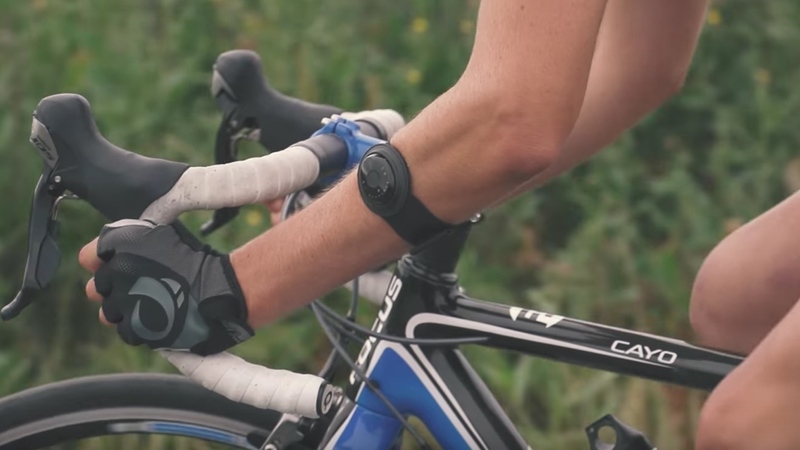 Zoom HRV can also measure cycling cadence and heart rate simultaneously if worn on the ankle. That also means the device can be strapped on various parts of the body - like your wrist, forearm, ankle, upper arm or even placed in a swimming cap for multi-sport athletes. The Zoom HRV lasts five days despite the lack of a screen, and matches up with the Fitbit Charge 2, which does have a screen. Coincidentally, the Charge 2 is also packed with HRV which it employs through the Guided Breathing app. Zoom has taken it a bit further by headlining heart rate variability as a main selling point which will probably appeal to the high intensity users. Lifetrak Zoom HRV is priced at $139.99 and is available to buy now.